The shark actually looks like a shark and not some really bad cartoon that no child would ever watch. 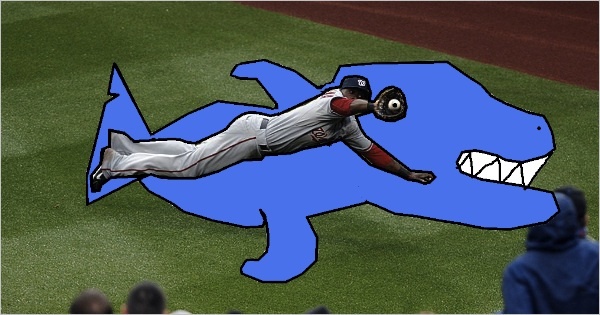 The other arm comes THROUGH THE SHARK's JAWS to make the catch. That drawing is super badass... The second one... Not the first one... First one good... Though...? 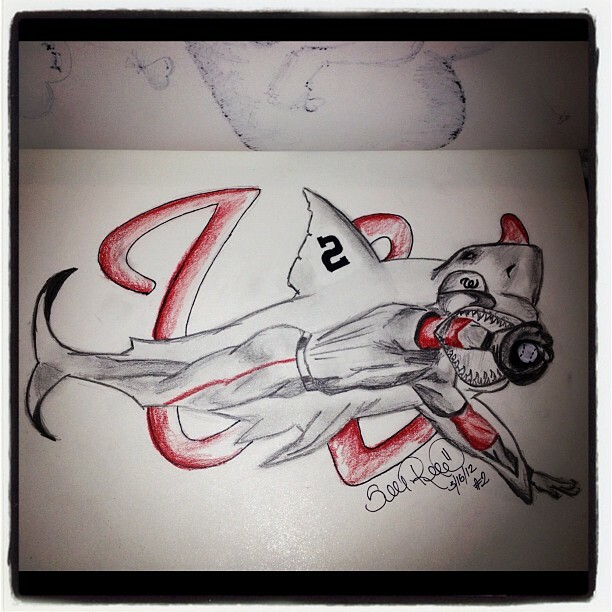 Should really turn that drawing into a "Shark Mode" t-shirt and try and get the Nats to wear it. They're got Chicken and Beast mode, so why not Shark Mode.